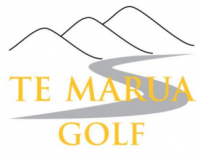 Te Marua Golf Club – Status Update – 14.4.19 1:00 p.m.
Te Marua is here on Facebook and welcomes golfers from all walks of life and golfing ability. If you have to travel any distance to get to Te Marua Golf Club, or if you need to hire equipment (Clubs, trundlers, golf cart), please call the Club Office on (04)526-7020 to confirm availability of the tee times and that any equipment requirements can be met. Usage of carts is always reviewed on a daily basis and any group bookings – and/or course conditions – may impact the availability of carts so please check with TMGC before travelling to the Course if you need to use a cart to play your golf.